My first eBook is now available at amazon. Written in French in 2009, it is now available in English. 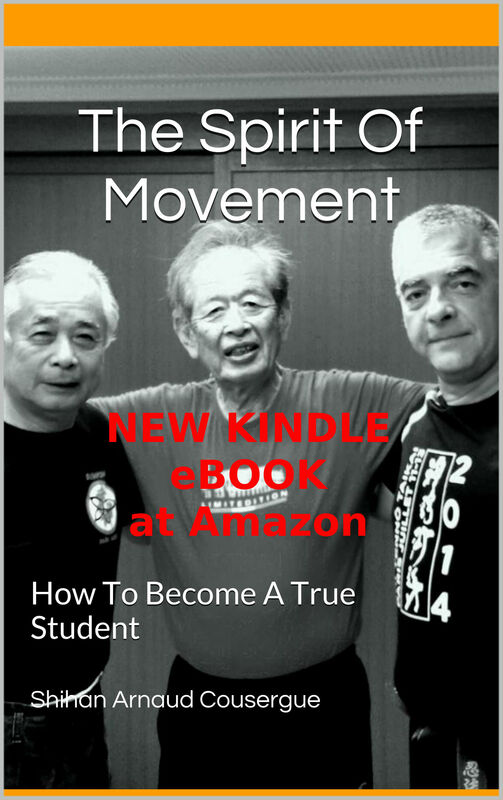 Completely rewritten, this revised edition details my life in the martial arts from 1969 to 2014. Obviously the biggest part of the book is dedicated to the Bujinkan and the 25 years of exchanges with Hatsumi sensei in Japan and during the Taikai all over the world. Full of anecdotes and stories, this small book introduces the reader to the 6 elements, the strategy, and other concepts. Darn is this book not going to be available in a paperback version, for those of use old school who do not have Kindles, or things to download the e-book? No it will not be available in a paperback version. I guess you have either a computer and /or a smartphone? Then download from the appstore or Google play the kindle app. This is the same for the computers (pc or apple). Download the free app from the net. Then you are able to read the book on any of your devices.